Scotch bonnet vs. habanero. Two close cousins that spice up the upper end of the Scoville scale. But how do they compare? How often can you find them at a supermarket? 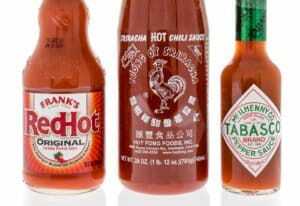 And how often do you see them in hot sauces and other spicy products? We take these two giants of the pepper scale and put them head to head for four rounds to discover their similarities and differences. Want to dig deeper? 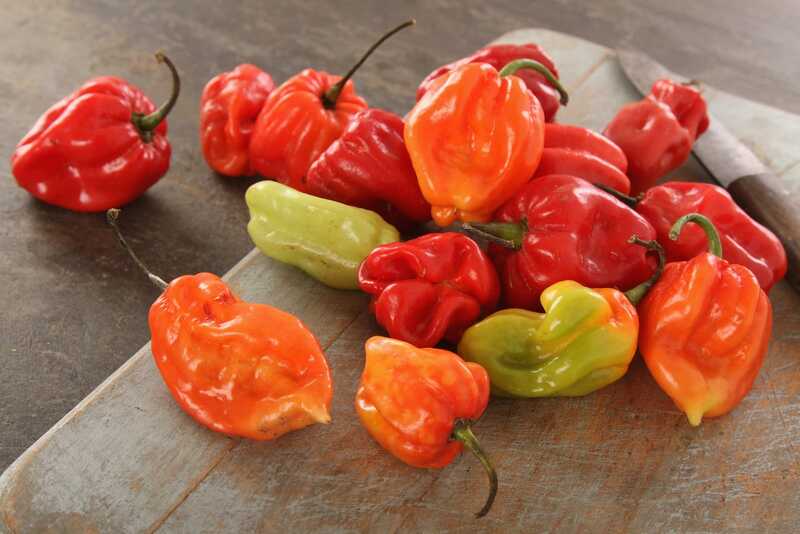 Be sure to read our posts that dive even deeper: the scotch bonnet pepper and the habanero pepper. Out of the gate, this is a wash. Both of these chilies sport the same amount of overall heat – from 100,000 to 350,000 on the Scoville scale. These are serious hot peppers, but not to the scorching level of the Trinidad Moruga Scorpion and its likes. Though some varieties of habanero do cross over into the lower end of scorching heat, like the chocolate habanero and the Red Savina. As they are cousins, these chilies have a similar fruity taste. But scotch bonnet peppers are slightly sweeter overall. 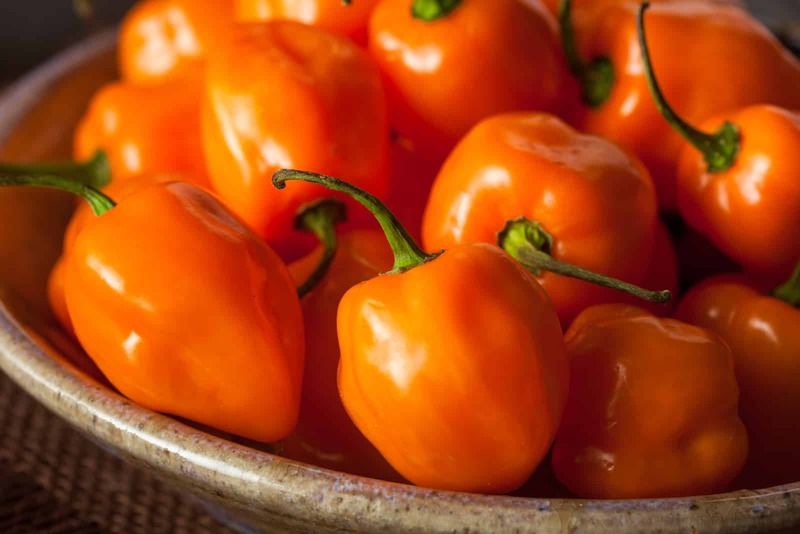 For some dishes (like Caribbean meals), this additional sweetness is important to the overall flavor, but a habanero could be used in a pinch. 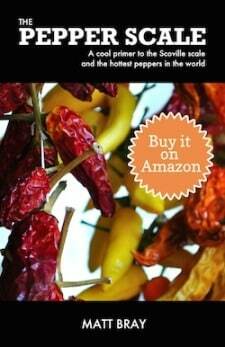 For both, this sweetness makes them exceptional hot peppers to pair with fruits, especially tropical fruits. The habanero is becoming more prevalent in general supermarkets. The scotch bonnet, on the other hand, is a lot harder to find, unless you live in an urban area with Caribbean pockets as it’s a staple of Caribbean cooking. In locations like South Florida, you’ll sometimes see scotch bonnets carried while there’s not a habanero in sight. Still, if they are going to carry anything this spicy, most supermarkets will carry the better-known habanero. Yes to both. 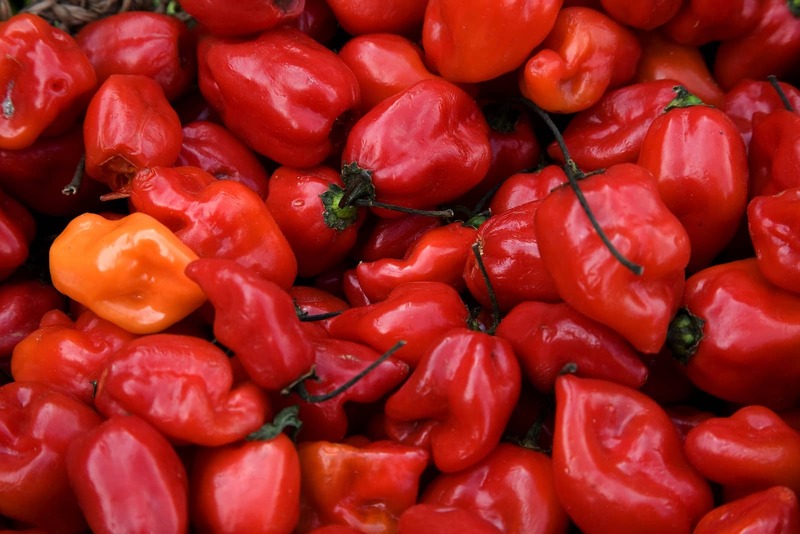 Though habanero-based products (salsas and hot sauces) are more prevalent on store shelves. 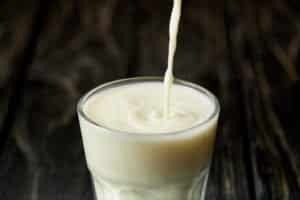 That’s again because of their overall popularity, but also because the habanero – being slightly less sweet – tends to pair better with a wider variety of ingredients. But a favorite for many are products for both peppers that play up that fruity sweetness. There are many tasty many hot sauce and salsa options out there that mix in fruits like mango, passion fruit, and pineapple. For some of the more creative varieties, you’ll want to shop online. You aren’t going to find two peppers on the Scoville scale with as much similarity as the scotch bonnet and the habanero. These are close cousins with similar heat and similar flavors. 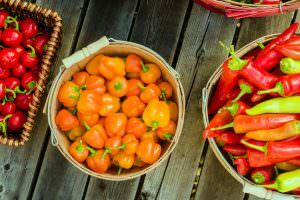 The differences do lie in availability, with the habanero typically edging out scotch bonnet in both fresh pepper availability and total products on the store shelves. If you have a recipe calling for a scotch bonnet and there’s none available near you, a habanero works quite well as a scotch bonnet substitute. But don’t overlook the scotch bonnet on the pepper scale. It’s increased sweetness makes it something unique, and the tropical hot sauces and salsas made from it are some of the tastiest around. When I was in Panama I was introduced to the Caribbean pepper sauce. I have really taken a liken to this pepper sauce and found that the pepper used was the scotch bonnet pepper. I was able to find some Caribbean pepper sauce in some specialty markets but it isn’t too common. Habanero pepper sauce is more common but just isn’t at all the same. I bought some peppers that were labeled as scotch bonnet peppers but they ended up tasting exactly like the habanero pepper sauce I made. I think I was sold habanero peppers labeled in correctly as scotch bonnet peppers. 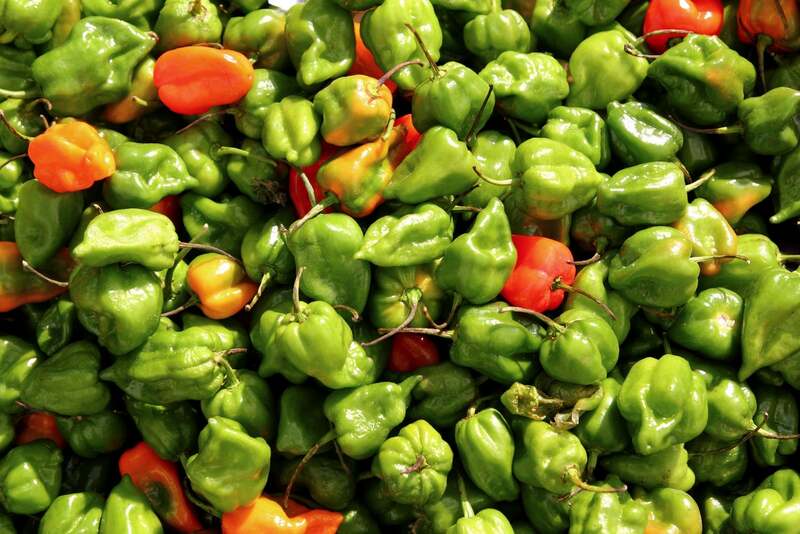 I would eventually find scotch bonnet and it gave the flavor that I had in Panama. To me the peppers may look the same and have similar heat but the flavor between the two are different enough that I wouldn’t consider it a Caribbean pepper sauce if it was made with habaneros instead of scotch bonnet. You can grow your own scotch bonnet peppers if you wish. The plant grows well inside a pot and even indoors if there is a lot of direct sunlight. The seeds are available many places online. All you need is patience.